Many people, generally those who have never read the book, consider Wuthering Heights to be a straightforward, if intense, love story - Romeo and Juliet on the Yorkshire Moors. But this is a mistake. Really the story is one of revenge. It follows the life of Heathcliff, a mysterious gypsy-like person, from childhood (about seven years old) to his death in his late thirties. Heathcliff rises in his adopted family and then is reduced to the status of a servant, running away when the young woman he loves decides to marry another. He returns later, rich and educated, and sets about gaining his revenge on the two families that he believed ruined his life. Emily Jane Bronte was a British novelist and poet, now best remembered for her only novel Wuthering Heights, a classic of English literature. 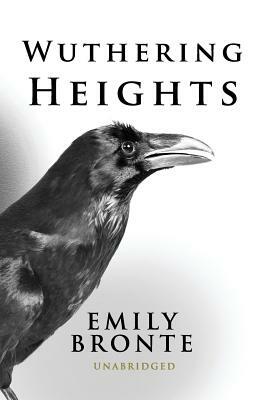 Emily was the second eldest of the three surviving Bronte sisters, being younger than Charlotte Bronte and older than Anne Bronte. She published under the masculine pen name Ellis Bell."